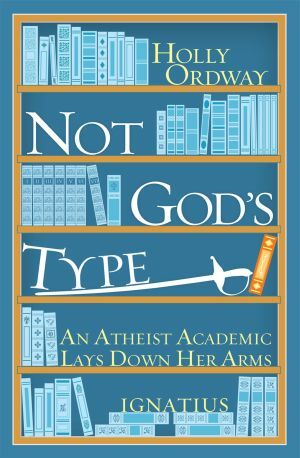 Holly Ordway, author of “Not God’s Type,” was a well-educated English professor who dismissed belief in God as so much superstition. While her family was not hostile toward religion and even adopted some cultural Christian practices such as playing Christmas carols, as a child she neither opened the Bible nor attended church. She remembers reading C.S. Lewis’ “The Chronicles of Narnia” and J.R.R. Tolkien’s “The Lord of the Rings,” both of which made a deep impression on her. But she “completely missed” the novels’ Christian themes. Still, her recounting of her earlier years as an atheist underscores the inherent darkness of this perspective. Above all, Ordway felt she was not God’s type. But in college something stirred when she began to study English literature and the great Christian poets such as T.S. Eliot, Jesuit Father Gerard Manley Hopkins, John Donne and the Rev. George Herbert, an Anglican priest. Later, for her doctoral thesis in English literature at the University of Massachusetts at Amherst, she focused on Tolkien. Ironically, even though she was still an atheist who had rejected the possibility of any rational explanation for faith, God was reaching her, she says, through her imagination. Little by little, over the course of years, tiny seeds were planted that began to sprout. For instance, when she took a job as an English professor in California and started teaching her students about Father Hopkins and other Christian poets, she was struck anew by how deeply meaningful this literature was. No longer could she dismiss the poets’ central beliefs as mere superstition or ignorance; she felt compelled to explore their basis. With encouragement from her fencing coach, a deeply committed Christian, Ordway applied her considerable intellectual gifts to researching the origin of Christian faith. Reading authors such as Father Hopkins, G.K. Chesterton and Lewis (especially his classics “Mere Christianity” and “Surprised by Joy”) tipped the balance for Ordway. These and other texts, such as Gary Habermas’ “The Risen Jesus & Future Hope” and retired Anglican Bishop N.T. Wright’s scholarly tome, “The Resurrection of the Son of God,” propelled her to undertake an exploration of the rational, historical claims of Christianity, including the Resurrection. What she discovered led her to embrace Christianity unequivocally. Ultimately, Ordway recognized that she had indeed converted to Lewis’ “mere Christianity”; but she “could not stay there, reading the Bible in a corner by myself.” She now felt drawn to choose one of the many rooms that, as Lewis explains, open out from the main “hallway” of Christianity — such as Methodist, Lutheran, Catholic, Baptist and so on. Today, Ordway is an English professor who directs the master’s program in cultural apologetics at Houston Baptist University, specializing in study of the writings of Lewis, Tolkien and Charles Williams. Her memoir is not itself an apologetic, but a thoughtful, heartfelt account of her pursuit by the Hound of Heaven. It will inspire all kinds of readers, from cradle Catholics to new converts — indeed, anyone who is a seeker, even if yet unchurched. Roberts directs the journalism program at the State University of New York at Albany and is the author of “Dorothy Day and the Catholic Worker” and other books. Oh, I’m reading this right now. I’m about half way through. It’s excellent. None of the reviews on the book seem to mention her fencing, and yet that was an important part of her journey. Everyone should read this book, and I can’t wait to finish it. Especially to learn how she transitioned from Protestant to Catholic.